This is straight from the DSO employees themselves. The rumor mill. It’s a buzz in every industry, including dentistry. Though myths may fly about DSOs, factual data and testimonials straight from DSO employees themselves are the most legitimate reliable sources. The rumor mill. It’s a buzz in every industry, including dentistry. 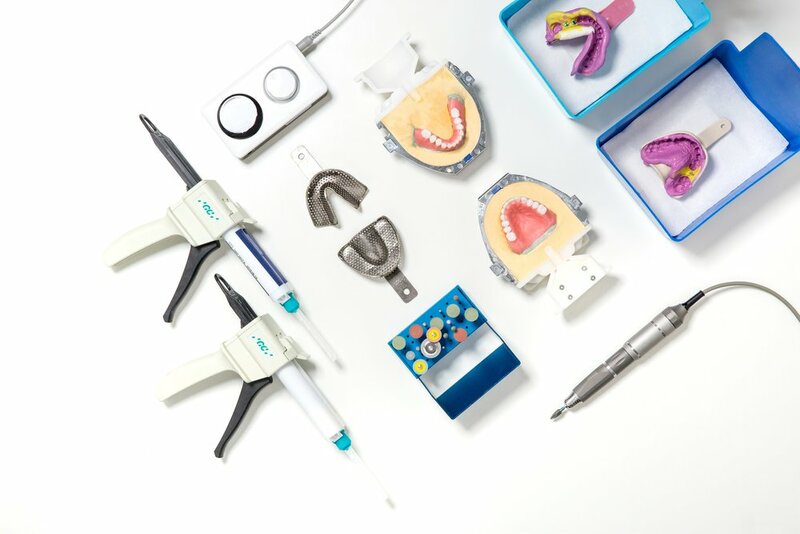 A recent survey of practice owners at Affordable Dentures & Implants (AD&I) found that misconceptions of Dental Support Organizations (DSOs) are the number one reason why dentists may not consider affiliating with one. Though myths may fly about DSOs, factual data and testimonials straight from DSO employees themselves are the most legitimate reliable sources. Before putting the myths to bed, take a brief refresher course on what a DSO does. 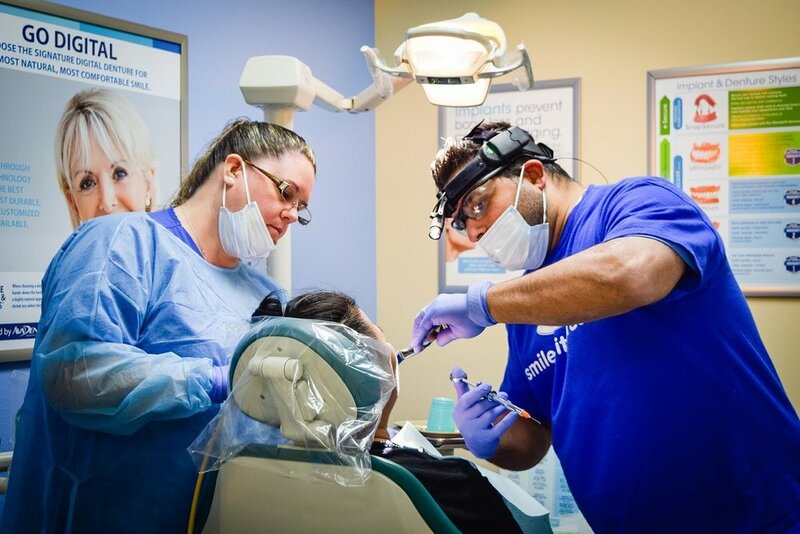 A Dental Support Organization (DSO) contracts with dental practices to provide critical business management and support including non-clinical operations. These critical business management services consist of marketing, recruiting, accounting, human resources, IT, maintenance and payroll; the typical needs of any business owner. Managing everything that goes into running a business takes time. And one of the many reasons that 7.8% of dentists join a DSO is to get that time back; time that can be reallocated to the clinical aspects of the dentistry profession, further advancing you in their career. Speaking of, that brings up the first myth. Like any career path, to advance you must immerse yourself in your chosen craft. The path toward career advancement requires countless hours of practice, hence time is key. By joining forces with a DSO, time is on your side. The surveyed practice owners at AD&I reported that since switching from private practice, 82% save a minimum of 5 hours per week; time formerly spent managing their business. Forty six percent of AD&I practice owners report they save 11 or more hours each week, equating to a savings of at least 572 hours each year; precious time that gives you the opportunity to treat more patients. And considering that one out of every 10 Americans are edentulous, the demand is there. Affordable Dentures & Implants Affiliated Practice Owner, Dr. Fenton helping a patient smile again. Over 96% of AD&I practice owners reported that since switching from private practice they are able to treat more patients; to be exact, 7 million patients nationwide, thus far. WIth time spent solely on clinical work, AD&I dentists quickly become experts in the field of dental surgery, which brings up the next myth. DSO dentists not only treat more patients, but they do so with a vast array of resources at their fingertips. The tremendous buying power of DSO’s provides practice owners access to the latest technology and equipment. Ongoing training for you and your practice staff on advanced surgical procedures, utilizing the most up-to-date technologies, establishes your practice as a trusted, experienced and high caliber clinical option. With unlimited continuing education opportunities at DSO’s like AD&I, practice owners are always progressing. One AD&I practice owner noted that he has “obtained a higher level of patient care and dental advancement” since joining AD&I, specifically referring to the live and didactic implant surgical training courses, taught by sought after implant instructors. Quality time with patients, ongoing training and access to the latest technologies are all necessary factors in achieving high clinical quality. These valuable resources, plus the network of fellow practice owners, make DSO’s ideal if you’re seeking career advancement and the opportunity to provide exceptional clinical care. Quality time with patients, ongoing training and access to the latest technologies are all necessary factors in achieving high clinical quality. Dentistry is a phenomenal career to enter for financial reasons. It even takes the number 10 spot on the 2019 U.S. World & New Report’s list of Best Paying Jobs. Seeing those dollars in your pocket, however, doesn’t come easy. According to the American Dental Education Association, the average debt of a graduating dentist in 2017 was $287,331, up from $172,627 only ten years earlier. This 66% increase in debt makes opening a private practice, which is estimated to cost up to $500,000, financially difficult, if not impossible. DSO’s step in to make the impossible possible. The out-of-pocket financial investment to open a new AD&I affiliated practice is nothing. Zero. While the average income for a general dentist in 2017 was $174,110, an AD&I dentist’s average salary was $335,000. Additionally, in 2017, AD&I dentists made 70% more than prosthodontists,whose average salary was $196,960. The financial opportunities continue as you build equity throughout the lifetime of your practice. And yes, it’s your practice. Budgeting for employee salaries, advertising, equipment, rent, and maintenance, just to name a few, is overwhelming and costly. A DSO’s buying power decreases these overhead costs, keeping more money in the business. You entered dental school in the hopes that one day you would own your own practice. The reality is that “the percentage of dentists in private practices who are owners has declined overall since 2005,” according to the ADA. Many assume the alternative to private practice ownership is becoming an employee of a DSO, which some dentists are comfortable with, while others are vehemently against. Though some DSO’s do employ dentists, it is possible to affiliate with a DSO and truly own a practice. Practice Owners that join AD&I to run a de novo practice obtain 100% ownership on day one. With your practice legally under your name, it’s truly your practice. To get you up and running quickly, AD&I will even incur the initial fixed expenses it takes to get your practice doors open. “ACTUAL ownership of the practice…legal ownership,” says Powell is one of the greatest advantages to affiliating with AD&I, which isn’t offered at all DSOs. You have true ownership of the practice and authority over all things clinical. Ninety percent of practice owners surveyed agreed that AD&I’s management of all things business, leaving them to the clinical aspects, was an important factor for joining AD&I. 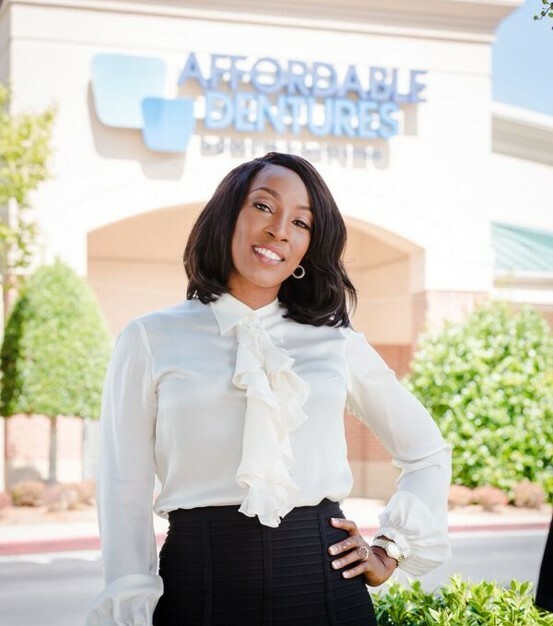 Dentists such as affiliated practice owner Dr. Adedoyin have 100% ownership in their practice. A high retention rate in any industry, including dentistry, is based mainly on one thing: honesty. If an employer is transparent about the company culture, policies and role expectations from the initial conversation, the likelihood of employee turnover is significantly reduced. When making the decision to join a DSO you consider all the facts, including the retention rate which is over 95% for AD&I practice owners. Accepting a role at a new company (or in this case, affiliating with a DSO) is a big decision and a huge commitment. You hope it’s a fit because if it is, you can then ingrain yourself in the culture and happily remain there for the foreseeable future, even until retirement. “I want to start and end my career at ADI. I couldn’t picture myself doing any other type of dentistry,” says Powell. Even if you want to retire or move, you own your practice and have the luxury of equity. Just as there are myths. There are the facts. DSOs have an annualized growth rate of 13-14%, twice that of solo practice owners. In fact, DSO’s are anticipated to obtain 30% of the market by 2021. These industry changing statistics demonstrate the attractiveness of DSOs for all dentists in all stages of their career. New graduates, who can’t afford to open a practice. Mid-career dentists, who want to increase their dental surgery expertise. Tenured dentists tired of business management, who want a better work/life balance. These dentists join AD&I. And they stay. With openings for AD&I Practice Owners across the nation you can join a culture of dentists who are living the truth, thus dispelling the myths once and for all. Smiling and Your Professional Opportunities: Part Two of "The Value of a Smile."